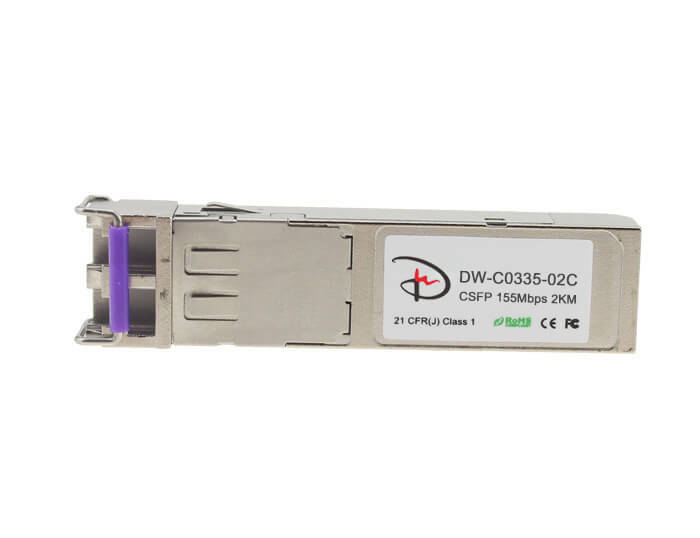 DW-D5685-01CQ is a 56Gb/s QSFP. 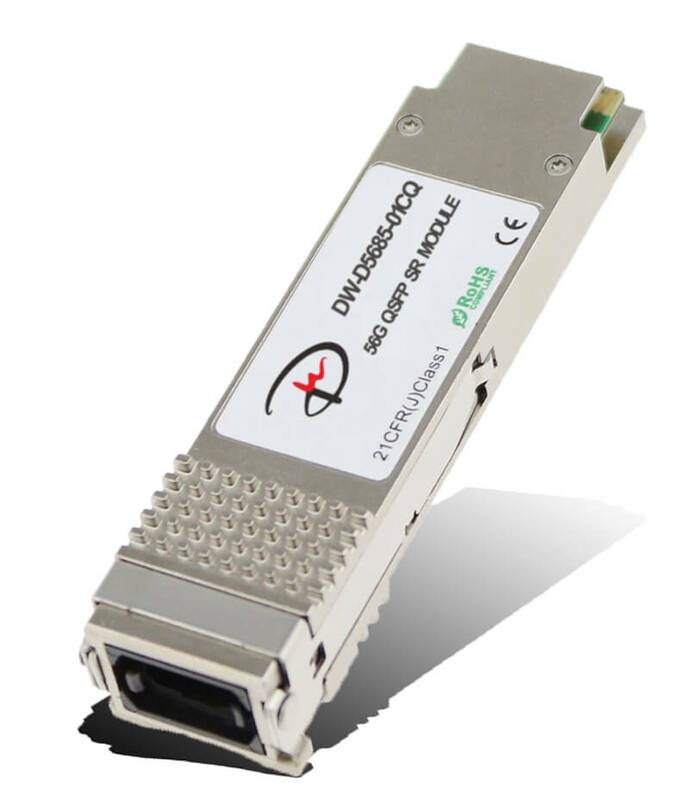 It provides 4 14Gb/s channels.The data can be transferred to 100m via OM3, and 150m via OM4 cable. 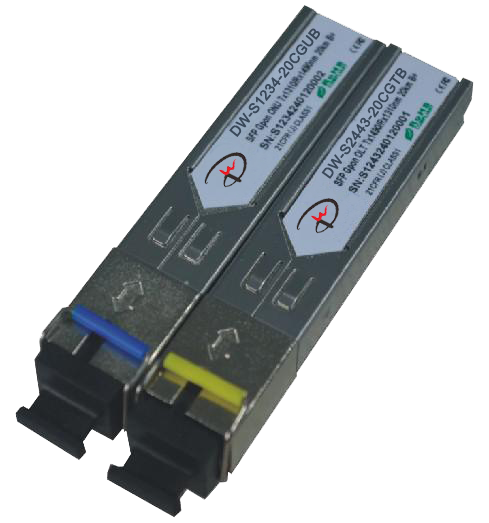 DW-S2443-20CGTX is a SFP module which is used in GPON OLT.The data rate is 2.5G /1.25G. Wavelength 1490/1310. SC connector.